Several office professionals in the Canton and Akron area learned about the benefits of document management at Copeco’s popular Snacks & Solutions training event April 18. After a great free lunch, Software Solutions Consultant Dennis Porter shared some of the many ways document management tools can help boost productivity in any office. You are putting together a flier for your business, and you need a great image to accompany it. Where do you turn? Maybe you are working in Microsoft and search their images, but are unable find that perfect picture. Have no fear; there are other options out there! There is one caveat: Not all images on the web are free for the taking. Many small businesses and organizations will simply do a Google image search and pull photos to use from across the web. The issue with this is that photo could be copyright protected and you have no way of knowing that from the Google search. 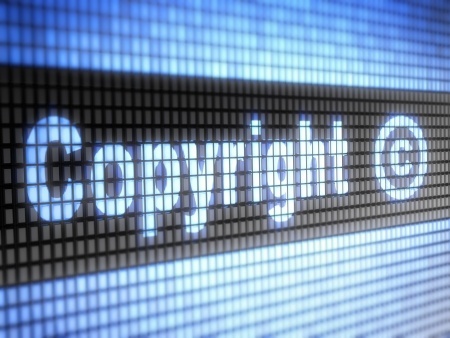 Getty Images has been notorious for suing businesses of all sizes for using their copyrighted images without permission. How can a small business find quality images that are cost effective and copyright free? There are a plethora of free stock photo websites; however, you still want to watch the small print for the photo you wish to use. Most free stock photo websites will declare the type and terms of copyright for each image on their website. You want to find photos that are free for commercial use and attribute free. When using these images in a print document, you will also want to pay attention to the size and resolution of the image you are downloading. Web images are typically 72 dpi (dots per inch), while a photo for print use should be 300 dpi to reproduce well. Pixabay.com: Pixabay features free photos that have been created and uploaded by users. All photos are copyright free for personal and commercial use. They are also attribute free, and the site offers a good selection of photos for a variety of topics. IMCreator.com/free: IM Free offers a curated selection of high-quality creative commons images, icons and templates. You will want to pay attention to whether or not the photo you want to use requires attribution. If so, underneath the photo on your project you would need to add the copyright symbol along with the photographer’s name. SplitShire.com: Split Shire is run by a graphic designer and photographer who was frustrated by not being able to find good photographs for his projects. He decided to offer up all of his personal photography for the greater good, and his photos are amazing! All of these photos are copyright and attribution free. Creative Commons Search allows you to search multiple websites for photos and images with a Creative Commons license. Make sure you check both of the boxes before doing your search to only include those photos available for commercial use and those that can be modified. When searching for commercial-use Creative Commons photos, you will need to be more vigilant of attribution requirements. Designing your own images and altering images has never been easier for the non-designer. Two great free resources are Picmonkey and Canva. Both offer plenty of features to create images at the free level and offer additional features at a nominal price on the paid membership levels. If you are planning to print a banner, check out our previous post with banner design tips for the non-designer. Where else can you find out how to increase productivity and also enjoy a complimentary lunch? I will be kicking off Copeco’s popular Snacks and Solutions event series Thursday, March 14 with a session on Scanning Basics. From 11:45 a.m. to 1 p.m. at our North Canton, OH, location, I will share a variety of scanning tips that will help you increase productivity and get the most out of your Sharp copier. Many of my clients are familiar with and use Microsoft Windows active directory tools. However, for those who may be wondering what active directory is, I’ll give a quick overview. Then, I’ll provide five reasons why you should incorporate a content management system with active directory for a higher level of document security. Essentially, active directory is a directory service that functions as a central clearinghouse for all authentication and authorization transactions by user, computer, printer and/or group. A system administrator can use it to control access to folders, documents, software installation, updates and more based on various security identifiers. You can only allow or disallow access to documents. 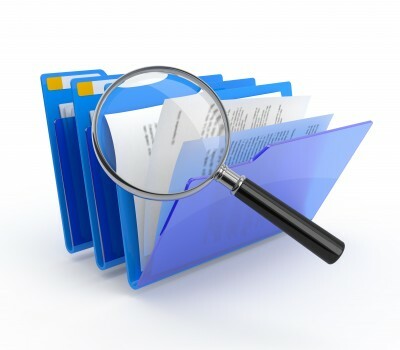 It’s hard to track or audit who is accessing documents and what they are doing with them. People that have “read only” access can still open that document and email/print/save it another version, or convert it to a PDF, before modifying it. Individuals with full control can easily (albeit accidentally or purposely) destroy or delete the document. Why Use a CMS with Active Directory? Much finer granularity in permissions. The CMS offers more than a dozen permissions, as opposed to just read/write within the Windows environment. A detailed audit log for tracking exactly what users are doing to documents (i.e., printing, emailing, modifying, etc.). A system that ties easily into your current active directory environment for easy administration. It allows for “single sign-on” ability, meaning there’s no need for maintenance of users within the system. Individuals just log into a PC and the system knows who they are and what they are permitted to do. The ability to allow/disallow a variety of actions (such as modify, email, print, view, delete and more) down to the individual user level. The option to create a new version of a modified document, so that you never lose your original, no matter what permissions the end user has. The combination of CMS and active directory are ideal if you do a lot of document scanning and management with your copiers and printers. If your business is located in Canton, Akron, Toledo or elsewhere in Ohio, contact me. I’d be happy to discuss in more detail how these two systems can work together to make your documents safer. When you only perform a task once in a while, it’s easy to forget how to do it. Apparently, that goes for scanning and sending two-sided documents as a PDF file because I get at least two calls per month about this from my Sharp copier and printer customers. And since people are calling for this information, I bet they are searching for it, too! Hopefully, many of you out there will find this tutorial helpful. Place your original(s) in the document feeder on your Sharp all-in-one printer. On the control panel or home page, press the email button and select your address(es). Again, on the control panel, select “original” and then, when prompted, choose “2-sided booklet.” If some of your originals are one sided, don’t worry. The Sharp will take care of that. Now you are ready to go! Press start. Blank pages will automatically be deleted before the PDF is sent to the designated recipients. If you do this often, don’t hesitate to ask your Sharp dealer to create a custom button on your printer’s home page. Then, this process can be completed just by clicking one button. Do you use Sharp office products in Canton, Akron or Toledo, Ohio? We’d be happy to show you other ways to get the most out of your machines! Contact us for more information. Electronic document management systems have been around for a while, and most organizations are at least familiar with what they do – namely, serve as a centralized repository for filing, indexing, storing and retrieving digital content and documents. Although the technology behind document manager software and web-based systems has advanced significantly, it still can be difficult to convince people to invest in one. If you’re a conscientious but frustrated office manager still surrounded by stacks and piles of paper – or responsible for tracking down electronic documents and records that exist somewhere on an employee’s computer – here are eight great ways a document management system can help you save money and improve productivity. Eliminate the need to leave your desk and dig through filing cabinets, hoping the document you need is stored correctly. With document management services, you can find a document with just a few clicks of a mouse, all in the comfort of your office. Get rid of the filing cabinets altogether and don’t buy anymore. Just think of what you could do with all that extra space! Do away with off-site storage and put some money back into your budget. Everything you used an off-site document storage company for can now be done faster, easier and more cost-efficiently with a document management system. Plus, hate that task of weeding out old documents? A management system can delete or move them to other folders automatically, based on date. Do away with the cost of pulling documents that are stored offsite. You would no longer have to pay a courier service to retrieve documents from your off-site storage location. And, as you know, those costs can really add up! Allow multiple employees to access the same document at the same time. A document management system functions much like a library, offering a secure check-out system so that only one person can make changes to a document at a given time. But, unlike the library, everyone else who has permission to view that document can always see it, even if it’s checked out. And, if another employee needs to edit that document, he or she will know exactly who has checked it out. Assist customers with questions faster than ever before. With document management, you don’t have to put people on hold or call them back later in order to pull a file. Just look it up from your computer! Simplify your workflow with document imaging. With a management system, you can scan or upload documents easily and route them to specific individuals for an electronic signature, mark-ups and more. In most industries, electronic signatures are acceptable, as long as the individual is logged into the system. Breeze through audits quickly and stay compliant with government regulations. Most auditors prefer to deal with digital documents and content management systems because it saves them lots of time, too. Plus, the system enables you to keep tight security on documents for HIPAA and SOX purposes, locking them down by user groups and specific logon IDs. Remember, time is money. With a document management system, your employees will be freed up to accomplish more in their day. If you’d like to learn more about the document management systems we offer at Copeco, just give us a call. 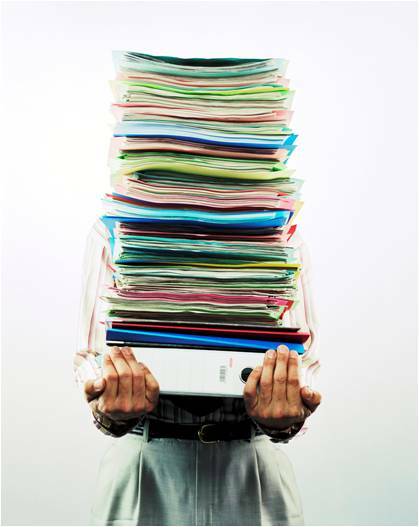 We can help you make the switch from paper filing to digital storage! You may already be familiar with document scanning (also known as document imaging), which is a great tool when you need an electronic version of a hard copy Word document or other form for recordkeeping, emailing or posting on the Web. But, what happens when you want to edit this document? Since you can’t update text in a digital image, which is what a scanner creates, you probably start retyping, right? Thankfully, there’s an easier way. OCR (optical character recognition) software can convert handwritten or printed text into a variety of compact, editable electronic files, including Microsoft Word and Excel, HTML, plain text and searchable PDF. A form of “artificial intelligence,” an OCR program is designed to recognize patterns among the pixels of a digitized document and translate them into characters, words and paragraphs. Preserve data contained in older paper documents or printed from electronic files that are now corrupted. Make text editable, searchable and generally more accessible. Of course, OCR software is not perfect. It can lose some formatting, and its accuracy depends largely on the quality of the original document (the higher DPI the better). 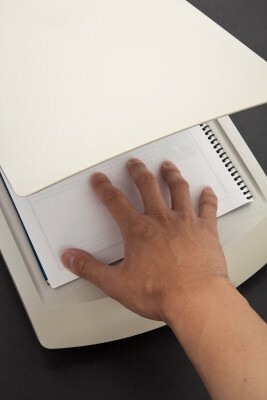 For a better reading, you may first need to clean up the document using imaging tools capable of removing background impressions and even straightening crooked text that resulted from a copier misfeed. Learn more about Sharpdesk® 3.2 software with OCR and other document scanning options from Sharp. Or, contact us at Copeco. We can help you determine if OCR software would be a valuable tool for your business.